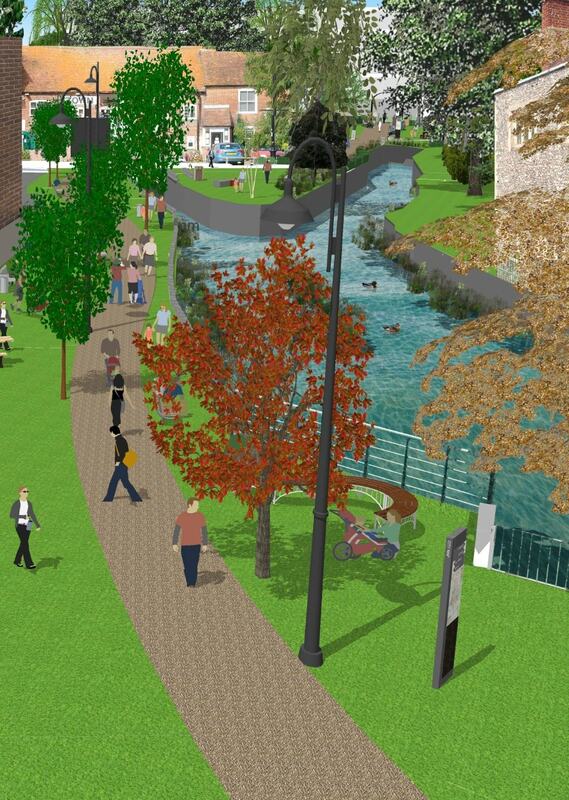 Plans to transform the Town Mills area of Andover into an attractive riverside park have received a £500k boost. 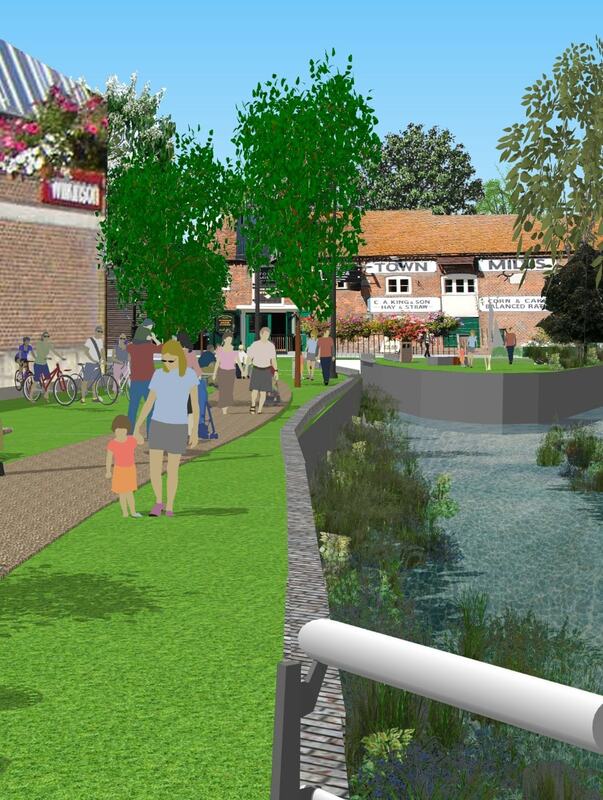 The Enterprise M3 Local Enterprise Partnership (LEP) has awarded more than half a million pounds towards the £1.2m Town Mills Riverside project, which will see the creation of a brand new park by the River Anton in Andover town centre. 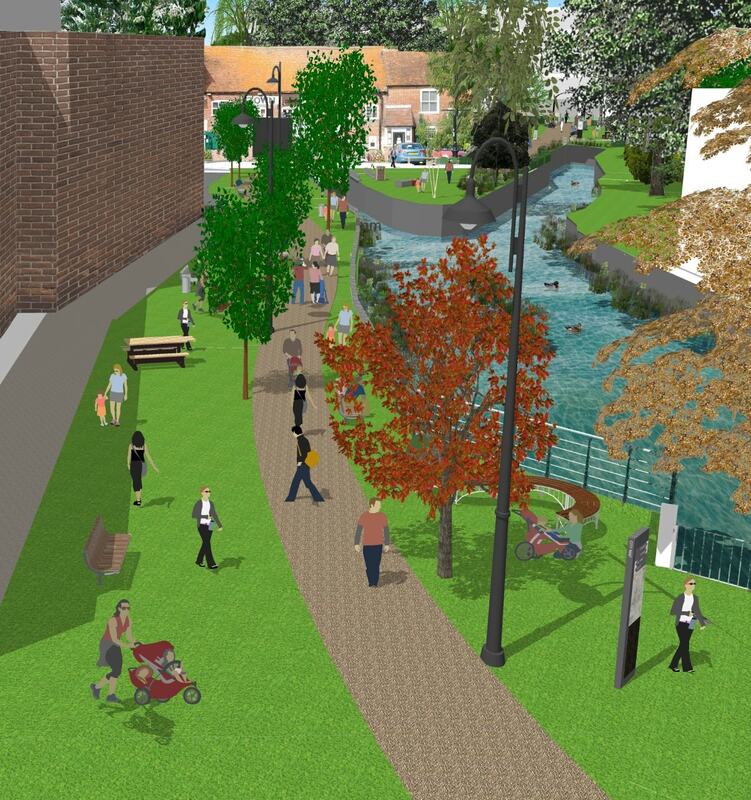 As part of the consultation for the renewal of the Andover Vision initiative in 2016/17, many of the 4,000 respondents were keen to see more made of the River Anton in the heart of the town centre. Residents said that they wanted it to become somewhere people could stay, play, picnic and enjoy the river. Last year, Test Valley Borough Council and Hampshire County Council launched a joint project to bring forward proposals for Town Mills Riverside. On top of the £500,000 funding from the LEP, a further £500,000 for the project has come through developer contributions between Hampshire County Council’s market town fund and Test Valley Borough Council. Leader of Test Valley Borough Council, Councillor Phil North, said: “I would like to say a massive thank you to the EM3 LEP for recognising the importance and potential of this project and for pledging their investment in what I hope will be the first stage of the fundamental regeneration of the town centre. The creation of the new riverside park will be a vital step in achieving our wider ambitions for the area. This is a fantastic opportunity for the town and we are keen to progress as quickly as possible. Over the past 12 months, the borough and county councils have been conducting an initial feasibility study to establish what was possible and how they could best enhance the area. The initial study has proved successful and the councils are now drawing up the detailed designs for the project. Construction of the re-development is anticipated to being in early 2020.